Abersoch campsites offer residents and visitors to this popular Wales city an opportunity to enjoy the beautiful outdoors. Whether you come for the annual Abersoch Jazz Festival in June or your love of water sports brings you to the yearly Wakestock wakeboarding and music festival in July, Abersoch offers something for everyone to enjoy throughout the year. Renowned for its West Coast Open Surfing Contest as well as its many Abersoch Regatta events, Abersoch is a popular destination for camping enthusiasts. If this describes you, what Abersoch campsites are available? The following Abersoch campsites are popular destinations for both the novice and the experienced camper. Well-known for its breath-taking views and prime fishing, Hen Siop y Mynydd is situated near the Cambrian Mountains and Snowdonia National Park. Campers have the option of spending the day fishing, surfing, hiking, bird watching, or simply taking in the gorgeous scenery that this campground has to offer. The famous Hell's Mouth Beach is less than two miles away and accessible by a footpath. In addition to the campsites, a six berth caravan is available to rent. For more information, visit the site. 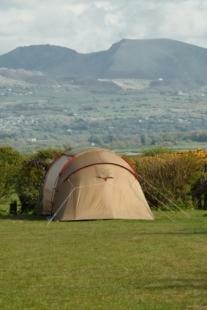 Another popular Abersoch campsite, Bryn Bach offers outdoors lovers a variety of activities to choose from. Nestled in the heart of the Llyn Peninsula, those who choose to stay in this lovely campground will revel in the lush surroundings of the Snowdonia mountain range. With beautiful beaches only a 10 to 15 minute walk from the campsites, Bryn Bach offers a variety of recreational activities for everyone. From fishing to surfing, hiking and more, tent campers, RV enthusiasts, and caravanners flock to this site during peak months, so early booking may be necessary depending upon the time of year you choose to visit. For more information, visit the Bryn Bach website. Located in the village of Llangian only one and half miles from Abersoch, Tanrallt Farm offers tourists a variety of accommodations. Choose from a luxury bunkhouse, charming cottage, or one of several caravan and camping sites. With electric hookups, BBQ areas, toilets, showers, laundry facilities, and more available, Tanrallt makes an excellent camping choice. Keep in mind, however, that this farm is only available for couples and families. For more information, visit the Tanrallt Farm website. Located on the Cilan Headland, which overlooks Hell's Mouth and Abersoch and offers views of the beautiful Snowdonia mountain range, Cilan Fawr is the perfect destination for camping enthusiasts who want to experience a multitude of outdoor activities. From surfing, sailing, fishing, and swimming to golfing, cycling, horseback riding, hiking and more, Cilan Fawr is the perfect destination for your family. If camping is a bit too primitive for your tastes, then choose from one of the self-accommodating bungalows available for rent. For more information, visit the Cilan Fawr Holidays website. If surfing is part of your agenda, you'll love Penrhyn's camping facilities. Located a mere five minute walk from Porth Ceiriad, a surfer's paradise, Penrhyn caters to singles and couples. Facilities include flush toilets, showers, laundry, and electric hookups. In addition to the convenience of the beach, the village of Abersoch is only one and half miles away. For more information, visit the Penrhyn's website. In addition to the above camping facilities, the following campsites are also located near Abersoch, and each offers panoramic views of the surrounding countryside. Abersoch campsites are the perfect choice for those longing to experience all that North Wales has to offer.